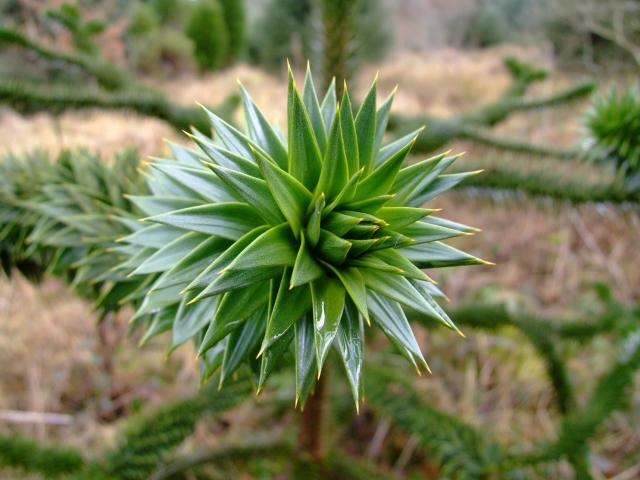 The Monkey Puzzle Tree is one of those trees that remind me of the long-lasting investment of planting a tree. These funky looking evergreen trees, with leathery leaves that cover the branches, can take 30-40 years before they will give their first harvest of nuts, and they have the potential to live for over 1,000 years! What a gift to our descendants. How many actions in our lives have that much forward thinking involved? 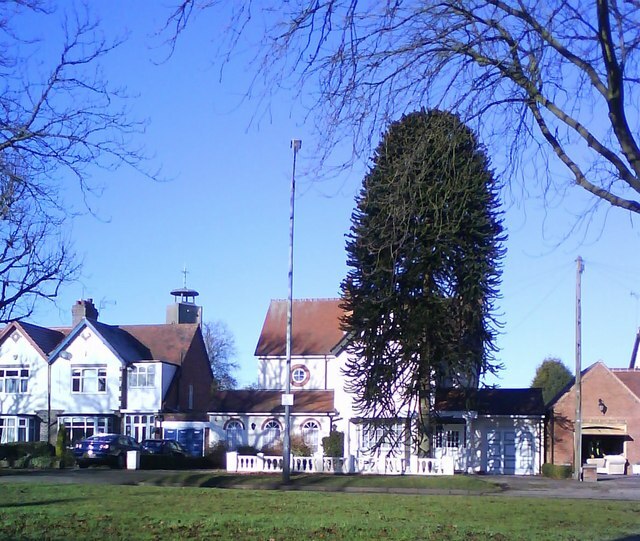 I had read of the Monkey Puzzle Tree for many years, but it wasn’t until about three years ago that I ever saw one in person. It was growing in Washington State at the Meerkerk Rhondodendron Gardenson Whidbey Island. It was a single specimen about thirty years old. Unfortunately, this isolated plant will never produce a nut crop. 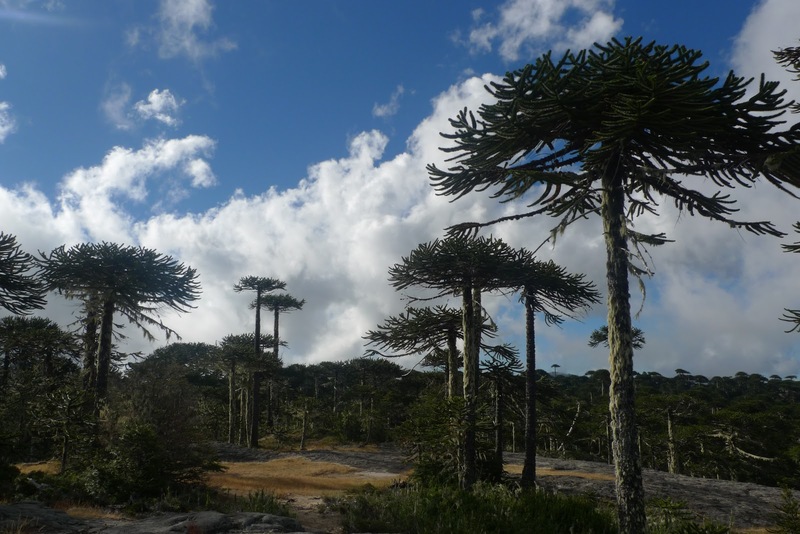 While I have yet to taste a Monkey Puzzle Tree’s nut, I have tasted the nuts from the very closely related Paraná pine (Araucaria angustifolia) when I was traveling in Brazil. These nuts are massive and tasty. It is common for groups of people to sit around talking for hours slowly eating through a pile of freshly roasted cones and drinking chimarrão, a traditional tea made from dried Yerba Mate leaves (Ilex paraguariensis). My plan is to get these and my other nut trees in the ground as soon as possible after I acquire my land. I hope to get at least one harvest before I die… just another reason I need to live a long life! 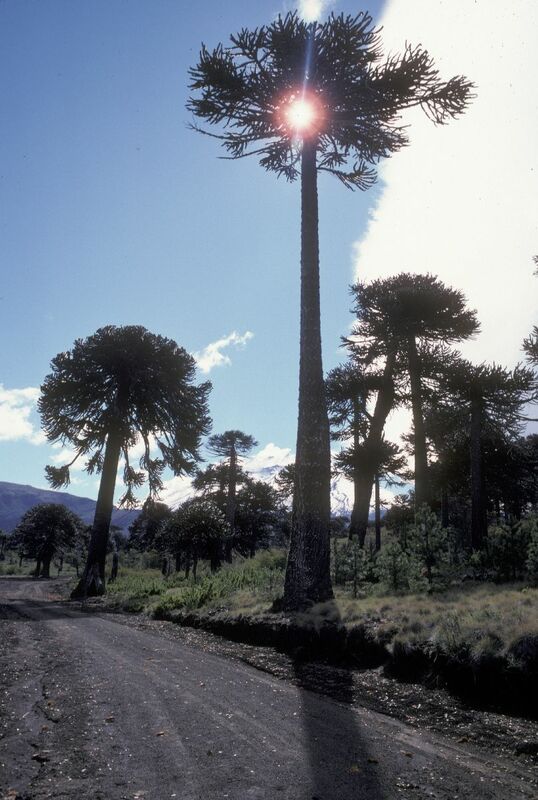 Native to South America (central and southern Chile and western Argentina), the Monkey Puzzle Tree was a native food source and sacred plant to the Mapuche in Chile. The wood was prized for lumber, but due to over harvesting and its slow growth rate, it is now rarely used. 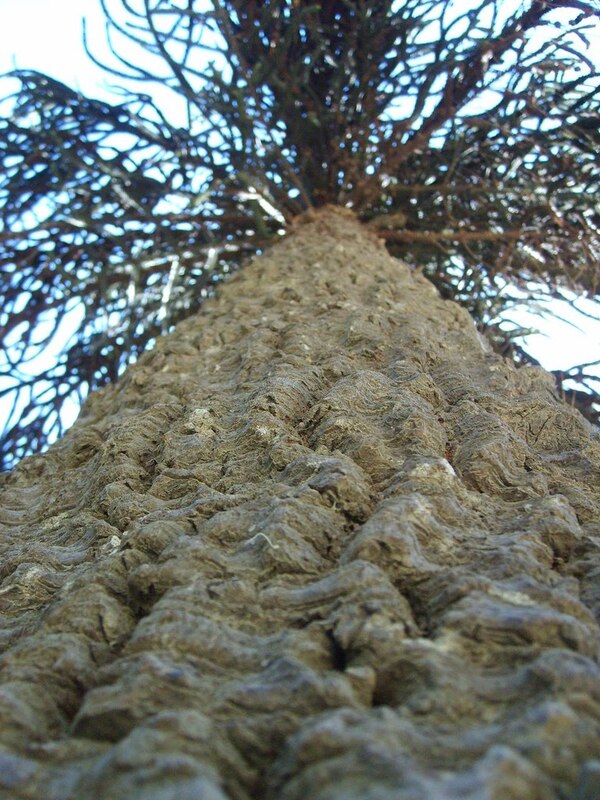 This tree has been exported around the world due to its unique appearance and is typically used as a specimen tree in gardens; however, there has been some minimal experimentation of using this a food crop in areas with cool oceanic summers where other crops do not grow well. There are male trees and female trees. 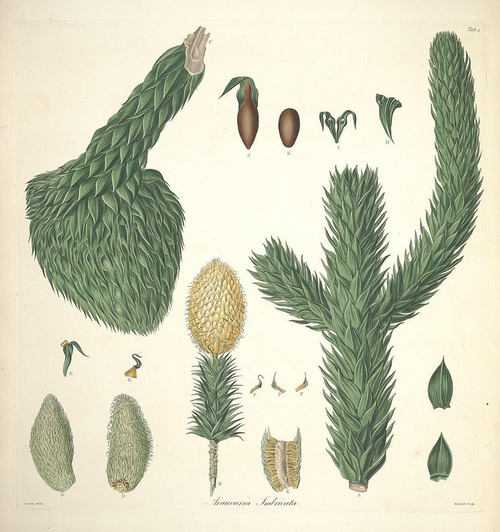 While it is commonly called a Chilean Pine Tree, it is not technically in the Pine Tree family. When young, the tree has a typical conical “pine tree” shape, but as it matures and grows taller, the lower braches drop off. The resulting tree shape resembles a lollipop. Seed/Nut – large, almond-sized (1-1.5 inch/3-4 cm), excellent-tasting nuts are produced in large cones. Raw or cooked. Lumber – good quality with wide trunks; however, these trees grow slowly, so they are not an ideal, sustainable lumber crop. Yield: No reliable information available, but a mature tree will produce a lot of seeds. 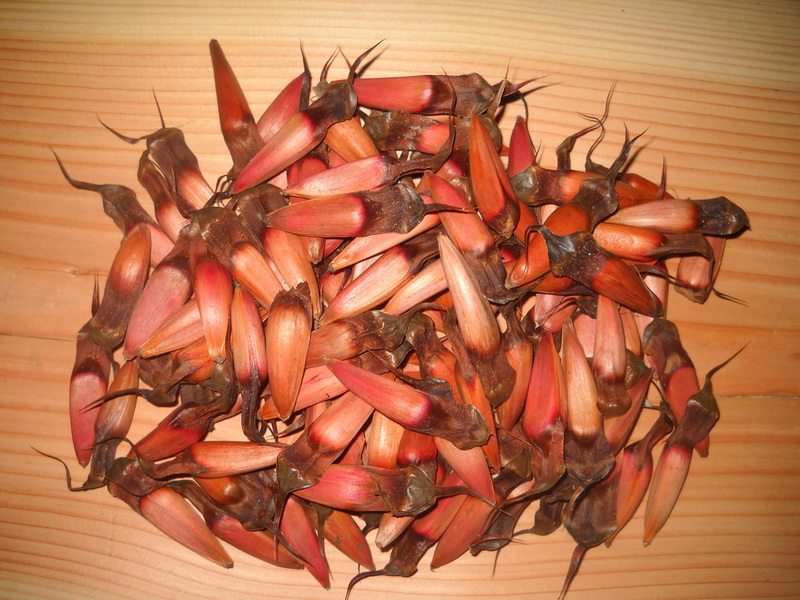 Storage: If kept in a cool, dry location, Monkey Puzzle Tree seeds can store for over 6 months and possibly a full year. The very spiny leaves of the Monkey Puzzle Tree. 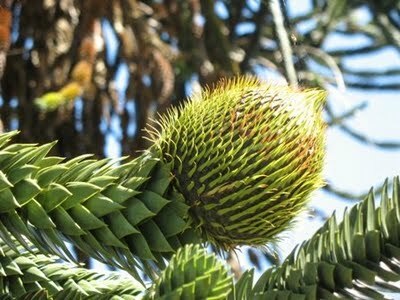 Pollination: Monkey Puzzle Trees are Dioecious – have male and female plants. Male and female cone will form on the respective plant. Wind pollinated. Both are needed for fertilization. Flowering: Summer – yes, I know that pine trees don’t technically have “flowers”, they have strobili, but this will suffice in the common vernacular. Years of Useful Life: Reported to live over 1,000 years! A mature tree with characteristicly absent lower branches. Grows well in areas with abundant rainfall – an oceanic location with cool summers are ideal. However, it can grow in a variety of environments, just not in a location with a lot of pollution. For optimal nut crops, plant one male plant for every five-six female plants. However, it is not possible to discern male and female plants until flowering. Consider planting more than required and thin after flowering using the excess male plants for lumber. Plant this tree where the spiny leaves will not cause a nuisance. From seed. Germination takes 30-60 days. Propagation from cuttings is possible, but not easy. 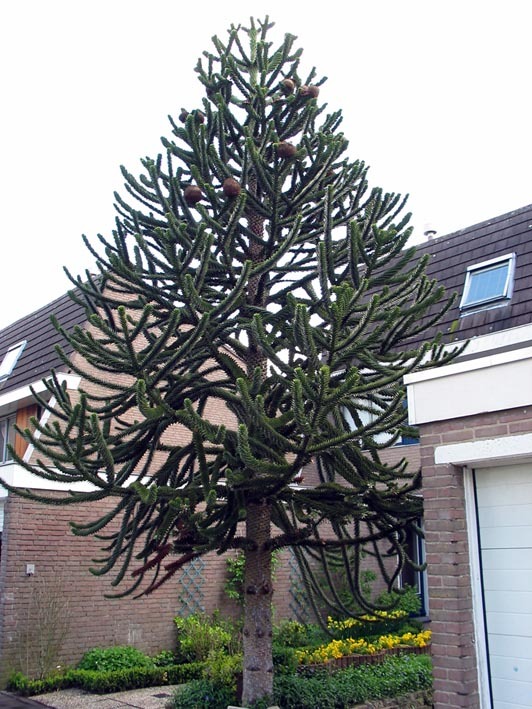 Monkey Puzzle Trees have sensitive root systems, so getting the plant in place as soon as possible is a high priority. Almost none. Pick up occasional branches as they are shed.